'The Fate of the Furious' or 'Fast & Furious 8' is an American action crime thriller film directed by F Gary Gray. 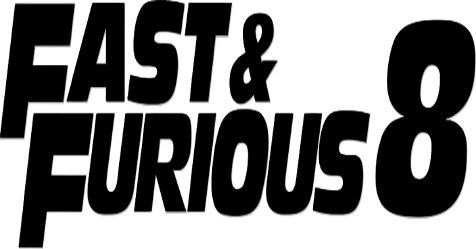 The film is the eighth part in 'The Fast and the Furious' series. The film stars Vin Diesel (as Dom), Dwayne Johnson (as Luke), Jason Statham (as Deckard), Charlize Theron (as Cipher), Michelle Rodriguez (as Letty), Tyrese Gibson (as Roman), Ludacris (as Tej), Nathalie Emmanuel (as Ramsey), Kurt Russell (as Frank) and Scott Eastwood (as Eric). The film starts with Dom and Letty enjoying their honeymoon in Havana. Dom is soon approached by a cyberterrorist Cipher who offers him to work for her. After their meet, Dom and his team which includes Letty, Roman, Tej, Ramsey are appointed by a security service agent Luke to help him get a military device from Berlin. During the mission, Dom steals the device from Luke on Cipher's behalf. Thus, Luke gets locked up in prison by German police. Luke meets Deckard and challenges him to have a fight with him in the prison. However, intelligence official Frank and his trainee Eric help Deckard and Luke escape from the prison. Frank recruits Deckard to help Luke and the team find Dom and get hold of Cipher. Deckard gives the details about Cipher's earlier encounters with the team such as stealing the Nightshade device, God's Eye, Ramsey's software program. Cipher threatens Dom that if he doesn't continue to work for her then his ex-lover and son's lives would be in danger. The way Dom manages to defeat Cipher in her evil mission and gets back to his team forms the remaining part of the adventurous story. Verdict: The film is a good watch for its amazing shooting locations, unbelievable car stunts and unexpected twists and turns from the start till the end.